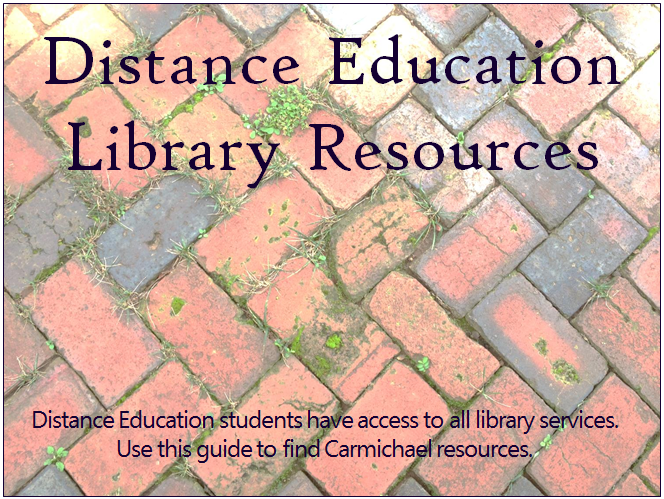 Library resources for distance education students. Access full text electronic versions of articles and books. Request books at Carmichael and have them mailed to you. Ways to find materials at libraries in the Birmingham area and beyond. Guides for academic subject areas help you do research using library materials, social media, and online resources. Help with citation in MLA, APA, and other major styles. View your library account and renew checkouts. Chat: Use the button here or on the front page of our website to chat with a librarian. Phone Research Consultations: Use the form on this page to schedule a consultation with a librarian. Email: Use this form to submit a question via email. This is a great option after normal library hours, but you can also use it anytime! Contact us directly: Email or call a librarian.